Are you looking for the perfect Honeymoon, Destination Wedding or Romantic Getaway location? If you seek privacy and luxury within an all-inclusive private island resort then you should consider going to Dolphin Island in Fiji. A trip to Fiji is an easy nonstop flight from Los Angeles. Upon arrival you will be taken care of the moment you step off of the plane. Remarkable Honeymoons will arrange for you to be met on the tarmac, whisked through immigration (yes skipping the line whether you are in coach or business class!) and then ensuring that you are paired with transport to take you to your private island escape. This could be via car, boat, helicopter or seaplane. The choice is yours to make. 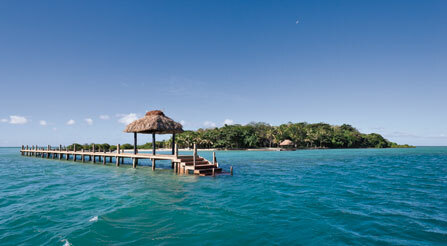 New to our luxury collection in Fiji is the lovely and entirely private Dolphin Island. This amazing paradise is located north of the main island, Viti Levu. This paradise can accommodate up to eight guests and never confirms more than one party per visit. A gastronomic experience awaits and nearly any special dietary needs or request will be met (within reason of course). Situated on an entirely private island, you will be pampered, enjoy private beaches throughout, and find incredible diving to name just a few of the available activities. 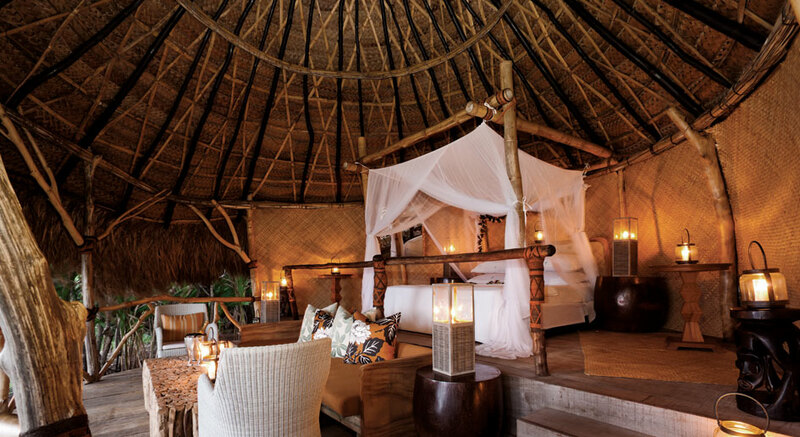 The resort will also arrange for you to enjoy a night or two in a special open-air hideaway on top of the island, should you need a change of scenery from your beachfront suite. This lovely hilltop bungalow is a perfect location for the night before the wedding, or the first night after the wedding, should you be married on the island! Dolphin Island is a wonderful option for a small Destination Wedding group looking for a location that will cater to a very small and intimate party. When arranging your travel with Remarkable Honeymoons, we are able to plan the perfect ceremony, legal for those residing in the USA and in Canada (ask us if you reside in a different country). We will take care of every detail and in most cases a wedding in Fiji is far easier than those arranged elsewhere – even at home! And when comparing the cost, you will save a substantial amount having a private island wedding in Fiji. We invite you to peruse our Dolphin Island page which contains not only more information but also a link to the Dolphin Island Resort’s Visual Itinerary plus Trip Advisor Reviews. We look forward to hearing from you! Are you ready to start planning? Give us a call at 1-866-614-1803 or fill in our quotation request form for more information. We look forward to making your dreams come true!